Cornerstone Blog: "New Year -- Same God!" "New Year -- Same God!" Happy New Year! It's hard to believe 2012 is gone and we are already into a brand new year. We have no way to know all that 2013 has in store for us. I am confident there will be good days, and some days to hold trouble, pain and difficulty. But through it all we can rest assured that God will be there with us to guide, strengthen and comfort. He is always faithful! Sometimes, we are not so faithful. We let the distractions and emotions of this life overwhelm our good judgment and God's direction. But He stands ready to help us get back up and get on the right track once again, if we will just let go of our pride and stubbornness, and let Him be in control. The Scripture verse we are working on memorizing this week, Hebrews 13:8, is a great assurance for every day of this new year. Joe D. put a four-word summary of it on the church sign for this week, "New Year - Same God." That expresses it very well! 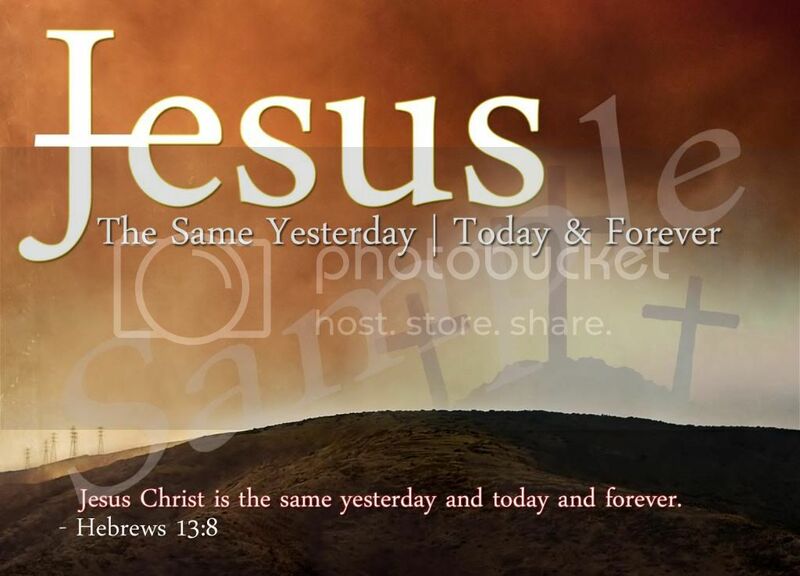 While the calendar has changed to 2013, and though there will be days ahead that bring change - sometimes easy and sometimes very hard - we know that our Savior and Lord, "Jesus Christ is the same yesterday and today and forever!" Amen!